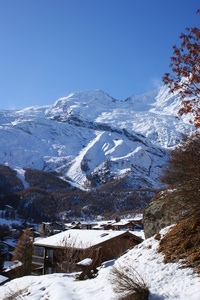 Saas Fee is a well known all-year round destination. However, it is actually quite small and the weather often causes the lifts to close just as the snow conditions look good. 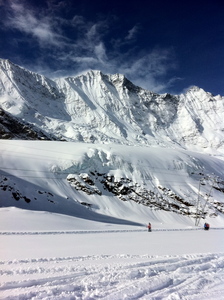 In addition the terrain,at Saas Fee, is not the most challenging, at least not on-piste. Experts will have to head off-piste to get their kicks. 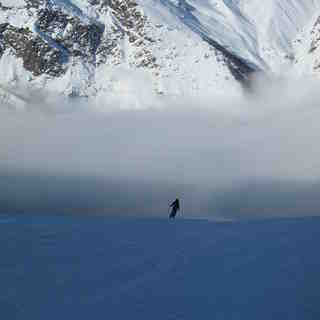 There is also good freestyle skiing at Saas Fee and beginners will not feel hard done by either. 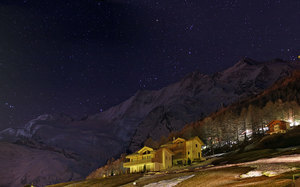 Off the slopes, Saas Fee is traditional in look with a modern feel. It is also car-free which makes it much more relaxing. No 4x4 Fiat Pandas being driven by rally-wannabees here! Food is good but not Haute-cuisine and the nightlife is up to date thanks to the year round nature of the snowboard crew. Fancy skiing or snowboarding in the middle of summer? 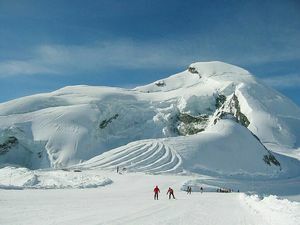 Then come to our summer ski area on the Allalin, 3,600 m a.s.l. 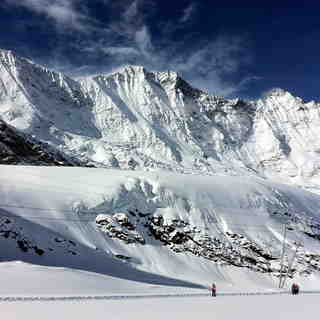 Saas-Fee offers ideal summer skiing and snowboarding conditions. Up on the glaciers there are 20 km of slopes to suit all levels. No wonder Swiss and international ski teams come here for their summer training sessions! We probably picked the two most beautiful weeks of the whole ski season: a cloudless sky, sunny and very pleasant temperatures during the period Feb 15th - March 1st 2019. My husband and I have been skiing in Saas-Fee several times before and had no problem picking this resort to bring our three grand-children along to discover the beauty of Switzerland. Needless to say Saas-Fee is the ideal place to cater for families with children. The ski school worked out perfectly for our 12 year old grand-daughter as well as for the 9 and 4 year old grand-sons. The older two became excellent skiers and loved the variety of slopes and the snow conditions while the little one, who just started, could follow us beautifully down the blue slopes after a few days. Amazing! We took them on every cable car, ski lift and the metro alpin, of course. We skied down to the village and didn't skip a day except for an excursion to Zermatt. The unbeatable price of Sfr 220.00, for each season pass we purchased ahead of time was tremendous value. We rented a chalet that satisfied all our needs and we enjoyed every day to the fullest. The torchlight descent at night performed by the ski school instructors, followed by a show and fireworks, was a lot of fun and very entertaining. We also happened to get a taste of the Saaser Carnival with a great marching band, playing their catchy tunes, a few times right below our balcony. We were all sad to leave this beautiful village that made our Swiss vacation a real hit. We take home beautiful souvenirs and will be back one day without a doubt.